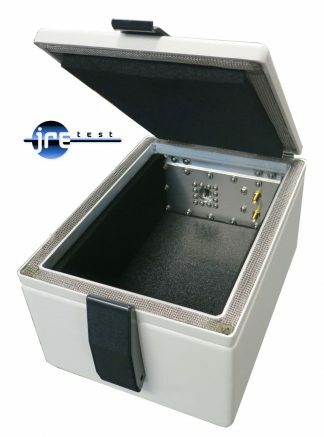 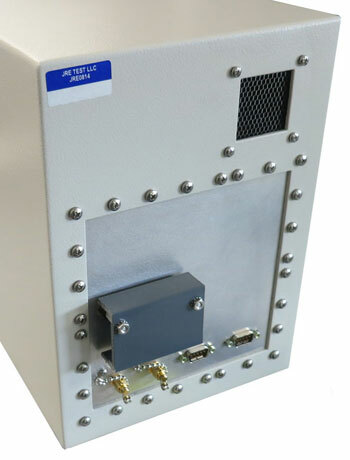 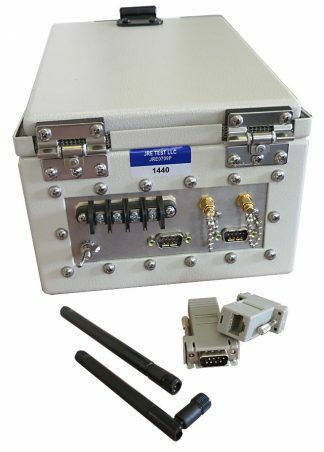 Containing all the capability of the larger JRE enclosures, the rack mounted JRE 0814-2R-A is ideal for testing IEEE 802.11a/b/g devices such as WLAN, VoIP, access points and other RF devices. 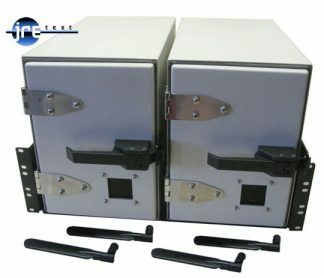 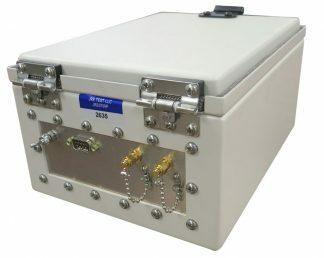 Two independent JRE 0814 series enclosures are mounted in one 19 inch rack. Universal I/O plate (7" x 7" 180 x 180mm) with incredible connector options. 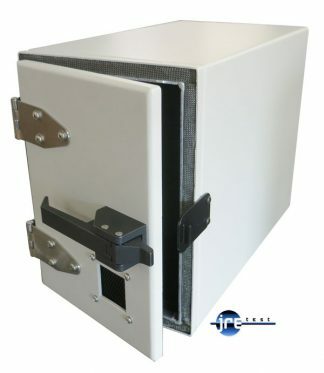 Easily changed in the field for multiple uses. 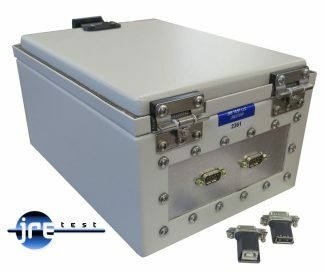 JRE Test "C" size I/O plate.